The New York Fashion Week is one of the most iconic and celebrity-studded events the city boasts. Hundreds of models, designers, and industry moguls flock to NYFW to witness what Fall 2017 will bring. And for NYFW’s Bridal Week, many brides-to-be take serious note of the silhouettes, embellishments, and accessories that will transform bridal fashion this year. providing clean, safe water to impoverished Brazilian children. 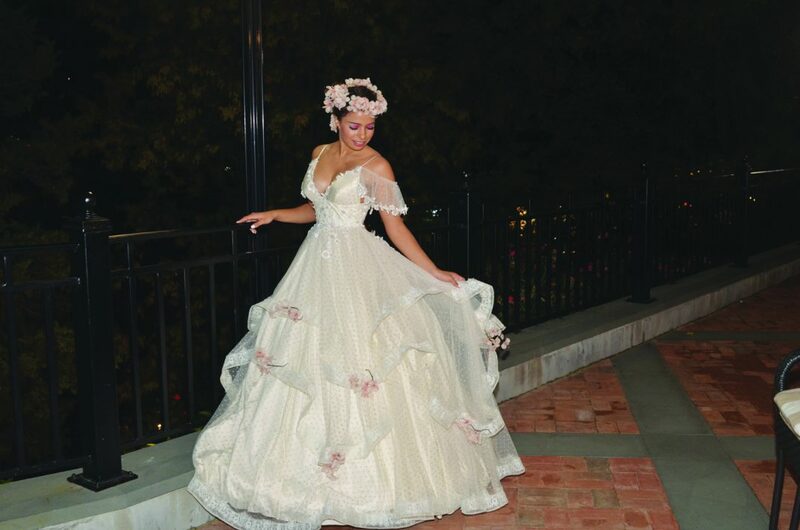 Pó de Arroz is a Brazilian bridal designer that creates unique, handmade dresses; the designer only makes one of each. She focuses on delicate laces, carefully placed embellishments, romantic silhouettes, and classic trims. The designer was taken aback by Emilia’s youthful glow and her ageless ability to carry the show and her gowns. Have you enjoyed a “Festa Junina”?